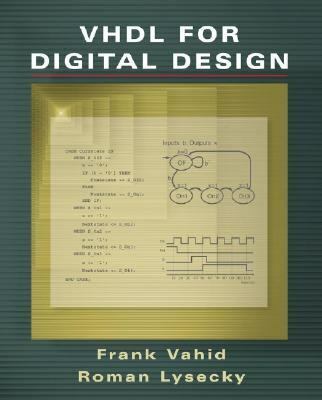 "This book provides a straightforward practical introduction to the use of VHDL for designing digital systems. The book's chapters cover increasingly complex digital design levels, starting with combinational logic. Unlike most language-centered HDL books, this design-centered book introduces core language constructs as they are needed to capture increasingly complex designs, and emphasizes structured use of the language." --BOOK JACKET.Vahid, Frank is the author of 'VHDL For Digital Design ', published 2007 under ISBN 9780470052631 and ISBN 0470052635. Loading marketplace prices 5 copies from $34.90 How does the rental process work?